Since Billboard’s rather curious call to disqualify his viral country-trap hybrid “Old Town Road” from their country charts, rapper Lil Nas X has received a rush of support from fans and corners of the music industry. One of those supporters happens to be country legend Billy Ray Cyrus, who has contributed a verse to the popular song’s forthcoming remix. Per a report from Rolling Stone, the song is slated for a midnight release. Last month, Billboard decided to remove the song from its Hot Country Songs charts after determining—somewhat arbitrarily—that the banjo-infused wonder “does not currently merit inclusion on Billboard‘s country charts.” The move raised more than a few eyebrows and retroactively called into question previous allowances for crossover artists like Kid Rock and Taylor Swift. 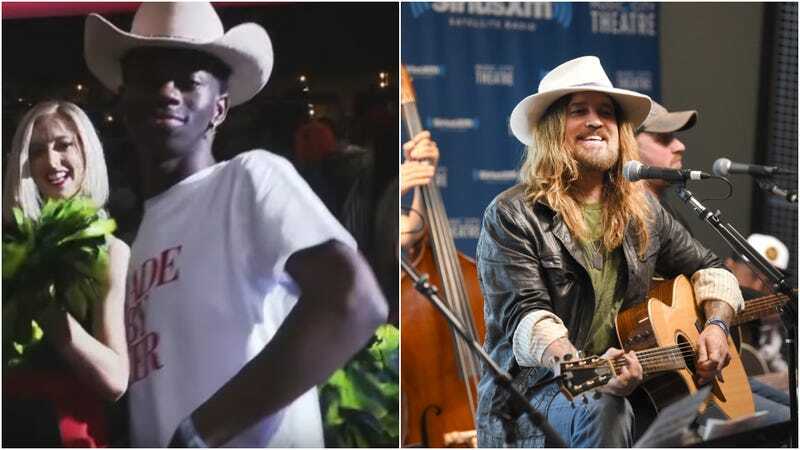 And while the young artist was notably upset by the decision, Lil Nas X inherited a vast support system, which includes Cyrus. The country staple even tweeted his support ahead of the announcement of the remix, citing his own clash with the charts system. So if the song doubles down on its original, very present country roots with a twangy riff from an undeniable paragon of the genre, what excuse will Billboard then have? We’ll dust off our boots and wait. UPDATE (4/5): The remix has arrived and it’s kinda great. Hear it below.